Femi Fani-Kayode, a former minister of aviation, says Nnamdi Kanu, leader of the Indigenous People of Biafra (IPOB), has vowed to work against the reelection of President Muhammadu Buhari. Fani-Kayode said the IPOB leader told him this in a telephone conversation on Saturday. The former minister identified with Kanu when he was in detention. When he regained freedom, Fani-Kayode was the first public figure Kanu visited. “I just received a call from my brother Nnamdi Kanu. I am delighted that he is alive and well. I commend his strength and courage even as I marvel at the loyalty, resilience and commitment of his lawyer Ifeanyi Ejiofor and IPOB. 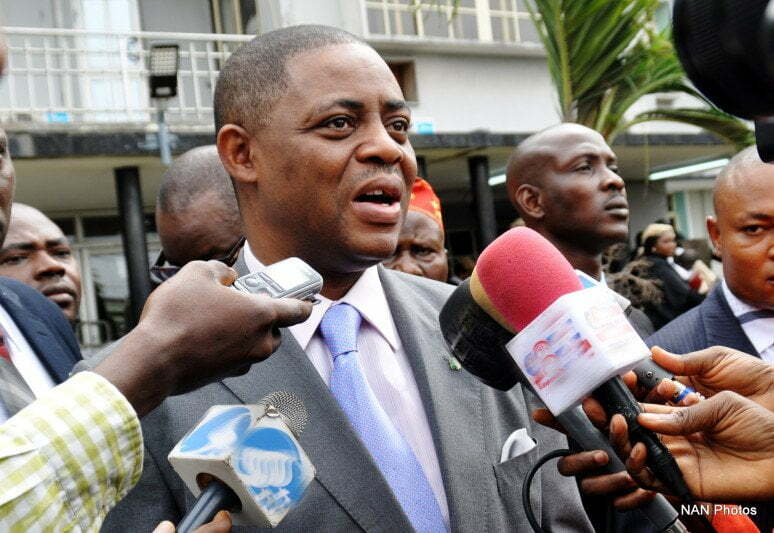 We have agreed to work together to VOTE Buhari out,” Fani-Kayode tweeted. Kanu has been out of the public for over a year until a video where he was seen observing spiritual rites in Israel was posted on social media on Friday. Before he went into hiding, Kanu kicked against the Anambra governorship election in November 2017. IPOB had warned voters in the state against participating in the exercise. He had said elections would not hold in the south-east except there was a referendum. The election took place two months after Kanu’s disappearance and Willie Obiano was reelected for a second term.